I am back again so soon this time. Here’s to keeping this up. Today was a pretty busy day for me. As this month has been a very busy one. It is December here and in Japan they are full of Bonenkais. Which is pretty much an End of the year party. I don’t know the literal translation. And the interesting thing about these parties is that every group you know will have them. And what I mean by group is a club you are a part of, your job, your group of friends and so on. It is a lot of fun, but they can become time consuming. So I have been to only two so far but I will possibly attend two more in the near future. Possibly a more popular person will spend the entire month of December drunk. Ha! Good luck to them. I think they are a great to bond with your co-workers, but I think that is just having alcohol around in general. Not working and the presence of Alcohol. Now these parties do have a meaning. Basically from what I heard these parties mean that we all forget what happened this year and start the next one anew. Especially with people that you have had problems with. You let your problems go and start over again. Which I think is a good attempt. Tonight’s party was with my Japanese class. It was quite interesting. We played a game of bingo and talked a bit. There was quite a bit of food and some drinks. I tried Ume shu for the first time. It was quite delicious. I recommend it. I won a wreath in the bingo game. I was excited. This wreath is something you use for the new year. It is to symbolize good luck. I am excited for the next party, I will play Candy Land. Lol….. Bottom line, since Christmas in Japan isn’t particularly homey, these parties are a good way to spend time with friends. Also as a chance to get to know some new people. 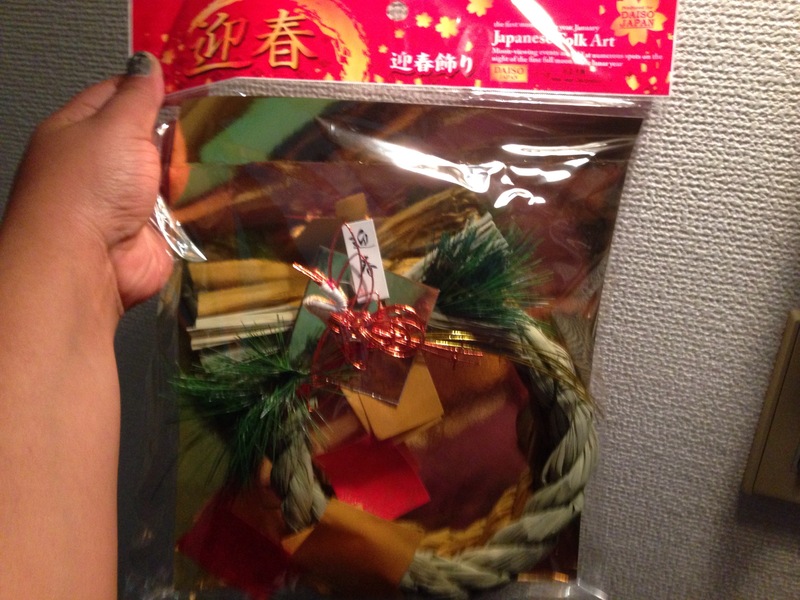 Posted by believeinkeev on December 18, 2014 in On a more personal note, Teaching in Japan and tagged expat living, Japan, japanese, japanese culture, life in japan, new year.